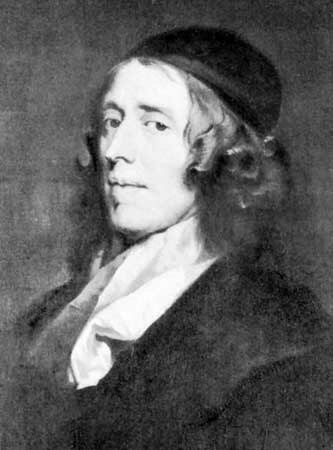 The following article is from the appendix to Owen's work, "A brief Declaration and Vindication of The Doctrine of the Trinity and also of The Person and Satisfaction of Christ accomodated to the capacity and use of such as may be in danger to be seduced and the establishment of the truth." [I]n reference unto the satisfaction of Christ, and the imputation of his righteousness thereon unto our justification, [those who have long harbored abominations] I have not much to say as to the time past. In general, the doctrine wherein they boast, being first brought forth in a rude misshapen manner by the Pelagian heretics, was afterward improved by one Abelardus, a sophistical scholar in France; but owes its principal form and poison unto the endeavours of Faustus Socinus, and those who have followed him in his subtle attempt to corrupt the whole doctrine of the gospel. Of these men are those amongst us who at this day so busily dispute and write about the Trinity, the Deity of Christ, and his satisfaction -- the followers and disciples. And it is much more from their masters, who were some of them men learned, diligent, and subtle, than from themselves, that they are judged to be of any great consideration. For I can truly say, that, upon the sedate examination of all that I could ever yet hear or get a sight of, either spoken or written by them, -- that is, any amongst us, -- I never yet observed an undertaking of so great importance managed with a greater evidence of incompetency and inability, to give any tolerable countenance unto it. If any of them shall for the future attempt to give any new countenance or props to their tottering errors, it will doubtless be attended unto by some of those many who cannot but know that it is incumbent on them "to contend earnestly for the faith once delivered unto the saints." This present brief endeavour is only to assist and direct those who are less exercised in the ways of managing controversies in religion, that they may have a brief comprehension of the truths opposed, with the firm foundations whereon they are built, and be in a readiness to shield their faith both against the fiery darts of Satan, and secure their minds against the "cunning sleight of men, who lie in wait to deceive." The preceding discourse [on the Trinity], as has been declared, was written for the use of ordinary Christians, or such as might be in danger to be seduced, or any way entangled in their minds, by the late attempts against the truths pleaded for: for those to whom the dispensation of the gospel is committed, are "debtors both to the Greeks and to the Barbarians; both to the wise and to the unwise," Rom. 1: 14. It was therefore thought meet to insist only on things necessary, and such as their faith is immediately concerned in; and not to immix therewithal any such arguments or considerations as might not, by reason of the terms wherein they are expressed, be obvious to their capacity and understanding. Unto plainness and perspicuity, brevity was also required, by such as judged this work necessary. That design, we hope, is answered, and now discharged in some useful measure. But yet, because many of our arguments on the head of the satisfaction of Christ depend upon the genuine signification and notion of the words and terms wherein the doctrine of it is delivered, - which, for the reasons before mentioned, could not conveniently be discussed in the foregoing discourse, - I shall here, in some few instances, give an account of what further confirmation the truth might receive by a due explanation of them. And I shall mention here but few of them, because a large dissertation concerning them all is intended in another way. First. For the term of satisfaction itself, it is granted that in this matter it is not found in the Scripture, - that is, it is not so (here follows transcribed Greek:) [Greek: retoos], or syllabically, - but it is [Greek: kata to pragma anantirretoos]; the thing itself intended is asserted in it, beyond all modest contradiction. Neither, indeed, is there in the Hebrew language any word that does adequately answer unto it; no, nor yet in the Greek. As it is used in this cause, [Greek: engue], which is properly "sponsio," or "fide-jussio," in its actual discharge, makes the nearest approach unto it: [Greek: hikanon poiein] is used to the same purpose. But there are words and phrases, both in the Old Testament and in the New, that are equipollent unto it, and express the matter or thing intended by it: as in the Old are, (here follows transcribed Hebrew:) [Hebrew: pidjon padah] [Ps. 49: 9], and [Hebrew: kofer] This last word we render "satisfaction," Numb. 35: 32, 33, where God denies that any compensation, sacred or civil, shall be received to free a murderer from the punishment due unto him; which properly expresses what we intend: "Thou shalt admit of no satisfaction for the life of a murderer." In the New Testament: [Greek: lutron, antilutron, apolutroosis, time, hilasmos] and the verbs, [Greek: lutroun, apolutroun, exagapozein, hilaskesthai], are of the same importance, and some of them accommodated to express the thing intended, beyond that which has obtained in vulgar use. For that which we intended hereby is, the voluntary obedience unto death, and the passion or suffering, of our Lord Jesus Christ, God and man, whereby and wherein he offered himself through the eternal Spirit, for a propitiatory sacrifice, that he might fulfil the law, or answer all its universal postulate; and as our sponsor, undertaking our cause, when we were under the sentence of condemnation, underwent the punishment due to us from the justice of God, being transferred on him; whereby having made a perfect and absolute propitiation or atonement for our sins, he procured for us deliverance from death and the curse, and a right unto life everlasting. Now, this is more properly expressed by some of the words before mentioned than by that of satisfaction; which yet, nevertheless, as usually explained, is comprehensive, and no way unsuited to the matter intended by it. In general, men by this word understand either "reparationem offensae" or "solutionem debiti," - either "reparation made for offense given unto any," or "the payment of a debt. "Debitum" is either "criminale" or "pecuniarium;" that is, either the obnoxiousness of a man to punishment for crimes or the guilt of them, in answer to that justice and law which he is necessarily liable and subject unto; or unto a payment or compensation by and of money, or what is valued by it; - which last consideration, neither in itself nor in any seasonings from an analogy unto it, can in this matter have any proper place. Satisfaction is the effect of the doing or suffering what is required for the answering of his charge against faults or sins, who has right, authority, and power to require, exact, and inflict punishment for them. Some of the schoolmen define it by "Voluntaria redditio aequivalentis indebiti;" of which more elsewhere. The true meaning of, "to satisfy, or make satisfaction," is "tantum facere aut pati, quantum quantum satis sit juste irato ad vindictam." This satisfaction is impleaded as inconsistent with free remission of sins, - how causelessly we have seen. It is so far from it, that it is necessary to make way for it, in case of a righteous law transgressed, and the public order of the universal Governor and government of all disturbed. And this God directs unto, Lev. 4: 31, "The priest shall make an atonement for him, and it shall be forgiven him." This atonement was a legal satisfaction, and it is by God himself premised to remission or pardon. And Paul prays Philemon to forgive Onesimus, though he took upon himself to make satisfaction for all the wrong or damage that he had sustained, Epist. verses 18, 19. And when God was displeased with the friends of Job, he prescribes a way to them, or what they shall do, and what they shall get done for them, that they might be accepted and pardoned, Job 42: 7, 8, "The LORD said unto Eliphaz, My wrath is kindled against thee, and against thy two friends: therefore take unto you now seven bullocks and seven rams, and go to my servant Job, and offer up for yourselves a burnt-offering; and my servant Job shall pray for you: for him will I accept: lest I deal with you after your folly." He plainly enjoins an atonement, that he might freely pardon them. And both these, - namely, satisfaction and pardon, with their order and consistency, - were solemnly represented by the great institution of the sacrifice of the scapegoat. For after all the sins of the people were put upon him, or the punishment of them transferred unto him in a type and representation, with "Quod in ejus caput sit," the formal reason of all sacrifices propitiatory, he was sent away with them; denoting the oblation or forgiveness of sin, after a translation made of its punishment, Lev. 16: 21, 22. And whereas it is not expressly said that that goat suffered, or was slain, but was either [Hebrew: azazel] "hircus," [Greek: apopompaios], "a goat sent away," or was sent to a rock called Azazel, in the wilderness, as Vatablus so and Oleaster, with some others, think (which is not probable, seeing, though it might then be done whilst the people were in the wilderness of Sinai, yet could not, by reason of its distance, when the people were settled in Canaan, be annually observed), it was from the poverty of the types, whereof no one could fully represent that grace which it had particular respect unto. What, therefore, was wanting in that goat was supplied in the other, which was slain as a sin-offering, verses 15, 16. Neither does it follow, that, on the supposition of the satisfaction pleaded for, the freedom, pardon, or acquitment of the person originally guilty and liable to punishment must immediately and " ipso facto" ensue. It is not of the nature of every solution or satisfaction, that deliverance must "ipso facto" follow. And the reason of it is, because this satisfaction, by a succedaneous substitution of one to undergo punishment for another, must be founded in a voluntary compact and agreement. For there is required unto it a relaxation of the law, though not as unto the punishment to be inflicted, yet as unto the person to be punished. And it is otherwise in personal guilt than in pecuniary debts. In these, the debt itself is solely intended, the person only obliged with reference whereunto. In the other, the person is firstly and principally under the obligation. And therefore, when a pecuniary debt is paid, by whomsoever it be paid, the obligation of the person himself unto payment ceases "ipso facto." But in things criminal, the guilty person himself being firstly, immediately, and intentionally under the obligation unto punishment, when there is introduced by compact a vicarious solution, in the substitution of another to suffer, though he suffer the same absolutely which those should have done for whom he suffers, yet, because of the acceptation of his person to suffer, which might have been refused, and could not be admitted without some relaxation of the law, deliverance of the guilty persons cannot ensue "ipso facto," but by the intervention of the terms fixed on in the covenant or agreement for an admittance of the substitution. It appears, from what has been spoken, that, in this matter of satisfaction, God is not considered as a creditor, and sin as a debt; and the law as an obligation to the payment of that debt, and the Lord Christ as paying it; - though these notions may have been used by some for the illustration of the whole matter, and that not without countenance from sundry expressions in the Scripture to the same purpose. But God is considered as the infinitely holy and righteous author of the law, and supreme governor of all mankind, according to the tenor and sanction of it. Man is considered as a sinner, a transgressor of that law, and thereby obnoxious and liable to the punishment constituted in it and by it, - answerably unto the justice and holiness of its author. The substitution of Christ was merely voluntary on the part of God, and of himself, undertaking to be a sponsor, to answer for the sins of men by undergoing the punishment due unto them. To this end there was a relaxation of the law as to the persons that were to suffer, though not as to what was to be suffered. Without the former, the substitution mentioned could not have been admitted; and on supposition of the latter, the suffering of Christ could not have had the nature of punishment, properly so called: for punishment relates to the justice and righteousness in government of him that exacts it and inflicts it; and this the justice of God does not but by the law. Nor could the law be any way satisfied or fulfilled by the suffering of Christ, if, antecedently thereunto, its obligation, or power of obliging unto the penalty constituted in its sanction unto sin, was relaxed, dissolved, or dispensed withal. Nor was it agreeable to justice, nor would the nature of the things themselves admit of it, that another punishment should be inflicted on Christ than what we had deserved; nor could our sin be the impulsive cause of his death; nor could we have had any benefit thereby. And this may suffice to be added unto what was spoken before as to the nature of satisfaction, so far as the brevity of the discourse whereunto we are confined will bear, or the use whereunto it is designed does require. Secondly. The nature of the doctrine contended for being declared and cleared, we may, in one or two instances, manifest how evidently it is revealed, and how fully it may be confirmed or vindicated. It is, then, in the Scripture declared, that "Christ died for us," that he "died for our sins;" and that we are thereby delivered. This is the foundation of Christian religion as such. Without the faith and acknowledgment of it, we are not Christians. Neither is it, in these general terms, at all denied by the Socinians. It remains, therefore, that we consider, - 1. How this is revealed and affirmed in the Scripture; and, 2. What is the true meaning of the expressions: and propositions wherein it is revealed and affirmed; - for in them, as in sundry others, we affirm that the satisfaction pleaded for is contained. 1. Christ is said to die, to give himself, to be delivered, [Greek: huper hemoon], etc., for us, for his sheep, for the life of the world, for sinners, John 6: 51, 10: 15; Rom. 5: 6; 2 Cor. 5: 14, 15; Gal. 2: 20; Heb. 2: 9. Moreover, he is said to die [Greek: huper hamartioon], for sins, 1 Cor. 15: 3; Gal. 1: 4. The end whereof, everywhere expressed in the gospel, is, that we might be freed, delivered, and saved. These things, as was said, are agreed unto and acknowledged. 2. The meaning and importance, we say, of these expressions is, that Christ died in our room, place, or stead, undergoing the death or punishment which we should have undergone in the way and manner before declared. And this is the satisfaction we plead for. It remains, therefore, that from the Scripture, the nature of the things treated of, the proper signification and constant use of the expressions mentioned, the exemplification of them in the customs and usages of the nations of the world, we do evince and manifest that what we have laid down is the true and proper sense of the words wherein this revelation of Christ's dying for us is expressed; so that they who deny Christ to have died for us in this sense do indeed deny that he properly died for us at all, - whatever benefits they grant that by his death we may obtain. First. We may consider the use of this expression in the Scripture either indefinitely or in particular instances. John 11: 50, The words of Caiaphas' counsel are, [Greek: Sumferei hemin, hina heis anthroopos apothanei huper tou laou, kai me holon to ethnos apoletai] - "It is expedient for us, that one man should die for the people, and that the whole nation perish not:" which is expressed again, chap. 18: 14, [Greek: apolesthai huper tou laou], "perish for the people." Caiaphas feared that if Christ were spared, the people would be destroyed by the Romans. The way to free them, he thought, was by the destruction of Christ; him, therefore, he devoted to death, in lieu of the people. As he, - "Unum pro multi dabitur caput;" - "One head shall be given for many." Not unlike the speech of Otho the emperor in Xiphilin, when he slew himself to preserve his army; for when they would have persuaded him to renew the war after the defeat of some of his forces, and offered to lay down their lives to secure him, he replied, that he would not, adding this reason, [Greek: Polu gar pou kai kreitton, kai dikaioteron estin, hena huper pantoon e pollous huper henos apolethai] - "It is far better, and more just, that one should perish or die for all, than that many should perish for one;" that is, one in the stead of many, that they may go free; or as another speaks, - "[Greek: Exon pro pahtoon mian huperdounai thanein]" - Eurip. Frag. Erec. "Let one be given up to die in the stead of all." John 13: 37, [Greek: ten psuchen mou huper sou thesoo]. They are the words of St. Peter unto Christ, "I will lay down my life for thee;" - "To free thee, I will expose my own head to danger, my life to death, - that thou mayest live, and I die." It is plain that he intended the same thing with the celebrated [Greek: antipsuchoi] of old, who exposed their own lives [Greek: psuchen anti psuches] for one another. Such were Damon and Pythias, Orestes and Pylades, Nisus and Euryalus. Whence is that saying of Seneca, "Succurram perituro, set ut ipse non peream; nisi si futures era magni hominis, aut magnae rei merces;" - "I will relieve or succour one that is ready to perish; yet so as that I perish not myself, - unless thereby I be taken in lieu of some great man, or great matter;" - "For a great man, a man of great worth and usefulness, I could perish or die in his stead, that he might live and go free." We have a great example, also, of the importance of this expression in these words of David concerning Absalom, 2 Sam. 18:33, [Hebrew: mi-yiten muti ani tachteicha] - "Who will grant me to die, I for thee," or in thy stead, "my son Absalom?" [Literal rendering of the Hebrew.] It was never doubted but that David wished that he had died in the stead of his son, and to have undergone the death which he did, to have preserved him alive. As to the same purpose, though in another sense, Mezentius in Virgil expresses himself, when his son Lausus, interposing between him and danger in battle, was slain Aeneas: - "Tantane me tenuit vivendi, nate, voluptas, Ut pro me hostile paterer succedere dextrae Quem genui? tuane haec genitor per vulnera servor, Morte tua vivens?" - Aen. 10. 846. "Hast thou, O son, fallen under the enemies' hand in my stead? Am I saved by thy wounds? Do I live by thy death?" And these things are added on the occasion of the instances mentioned in the Scripture; whence it appears, that this expression of "dying for another" has no other sense or meaning, but only dying instead of another, undergoing the death that he should undergo, that he might go free. And in this matter of Christ's dying for us, add that he so died for us as that he also died for our sins; that is, either to bear their punishment or to expiate their guilt (for other sense the words cannot admit); and he that pretends to give any other sense of them than that contended for, which implies the whole of what lies in the doctrine of satisfaction, "erit mihi magnus Apollo," even he who was the author of all ambiguous oracles of old. "Hanc tibia, Eryx, meliorem animam pro morte Daretis Persolvo." - Aen. v. 483. He offered the ox, a better sacrifice, in the stead of Dares, taken from him. So, - "Fratrem Pollux alterna morte redemit." - Aen. vi. 121. And they speak so not only with respect unto death, but wherever any thing of durance or suffering is intended. So the angry master in the comedian: - "Verberibus caesum te in pistrinum, Dave, dedam usque ad necem; Ea lege atque omine, ut, si te inde exemerim, ego pro te molam." - Ter. And., i. 2, 28. He threatened his servant, to cast him into prison, to be macerated to death with labour; and that with this engagement, that if he ever let him out, he would grind for him; - that is, in his stead. Wherefore, without offering violence to the common means of understanding things amongst men, another sense cannot be affixed to these words. The nature of the thing itself will admit of no other exposition than that given unto it; and it has been manifoldly exemplified among the nations of the world. For suppose a man guilty of any crime, and on the account thereof to be exposed unto danger from God or man, in a way of justice, wrath, or vengeance, and when he is ready to be given up unto suffering according unto his demerit, another should tender himself to die for him, that he might be freed; let an appeal be made to the common reason and understandings of all men, whether the intention of this his dying for another be not, that he substitutes himself in his stead, to undergo what he should have done, however the translation of punishment from one to another may be brought about and asserted; for at present we treat not of the right, but of the fact, or the thing itself. And to deny this to be the case as to the sufferings of Christ, is, as far as I can understand, to subvert the whole gospel. Moreover, as was said, this has been variously exemplified among the nations of the world; whose acting in such cases, because they excellently shadow out the general notion of the death of Christ for others, for sinners, and are appealed unto directly by the apostle to this purpose, Rom. 5: 7, 8, I shall in a few instances reflect upon. Not to insist on the voluntary surrogations of private persons, one into the room of another, mutually to undergo dangers and death for one another, as before mentioned, I shall only remember some public transactions, in reference unto communities, in nations, cities, or armies. Nothing is more celebrated amongst the ancients than this, that when they supposed themselves in danger, from the anger and displeasure of their gods, by reason of any guilt or crimes among them, some one person should either devote himself or be devoted by the people, to die for them; and therein to be made, as it wets, an expiatory sacrifice. For where sin is the cause, and God is the object respected; the making of satisfaction by undergoing punishment, and expiating of sin by a propitiatory sacrifice, are but various expressions of the same thing. Now, those who so devoted themselves, as was said, to die in the stead of others, or to expiate their sins, and turn away the anger of God they feared, by their death, designed two things in what they did. First, That the evils which were impendent on the people, and feared, might fall on themselves, so that the people might go free. Secondly, That all good things which themselves desired, might be conferred on the people. Which things have a notable shadow in them of the great expiatory sacrifice, concerning which we treat, and expound the expressions wherein it is declared. The instance of the Decii is known; of whom the poet, - "Plebeiae Deciornm animae, plebeian fuerunt Nomina; pro totis legionibus Hi tamen, et pro Omnibus auxiliis, atque omni plebe Latina, Sufficiunt Diis infernis." The two Decii, father and son, in imminent dangers of the people, devoted themselves, at several times, unto death and destruction. And says he, "Sufficiunt Diis infernis,- "they satisfied for the whole people; adding the reason whence so it might be: - "Pluris denim Decii quam qui servntur ab illis." Juv., Sat. vii. 254-8 They were more to be valued than all that were saved by them. And the great historian does excellently describe both the actions and expectations of the one and the other in what they did. The father, when the Roman army, commanded by himself and Titus Manlius, was near a total ruin by the Latins, called for the public priest, and caused him, with the usual solemn ceremonies, to devote him to death for the deliverance and safety of the army; after which, making his requests to his gods, ("dii quorum est potestas nostrorum hostiumque,") "the gods that had power over them and their adversaries," as he supposed, he cast himself into death by the swords of the enemy. "Conspectus ab utraque acie aliquanto augustior humano visu, sicut coelo missus piaculum omnis deorum irae, qui pestam ab suis aversam in hostes ferret;" - "He was looked on by both armies as one more august than a man, as one sent from heaven, to be a piacular sacrifice, to appease the anger of the gods, and to transfer destruction from their own army to the enemies," Liv., Hist. viii. 9. His son, in like manner, in a great and dangerous battle against the Gauls and Samnites, wherein he commanded in chief, devoting himself, as his father had done, added unto the former solemn deprecations': - "Prae se agere sese formidinem ac fugam, caedemque ac cruorem, coelestum, inferorum iras," lib. x. 28; - "That he carried away before him, from those for whom he devoted himself, 'fear and flight, slaughter and blood, the anger of the celestial and infernal gods.'" And as they did, in this devoting of themselves, design "averruncare malum, deum iras, lustrare populum, aut exercitum, piaculum fieri," or [Greek: peripsema, anathema, apokatharma], - "expiare crimina, scelus, raetum," "or to remove all evil from others, by taking it on themselves in their stead; so also they thought they might, and intended in what they did, to covenant and contract for the good things they desired. So did these Decii; and so is Menoeceus reported to have done, when he devoted himself for the city of Thebes, in danger to be destroyed by the Argives. So Papinius Statius introduces him treating with his gods: - "Armorum superi, tuque o qui funere tanto Indulges mihi, Phoebe, mori, date gaudia Thebis, Quae pepigi, et toto quae sanguine prodigus emi." - [Theb. x. 757.] He reckoned that he had not only repelled all death and danger from Thebes, by his own, but that he had purchased joy, in peace and liberty, for the people. And where there was none in public calamities that did voluntarily devote themselves, the people were wont to take some obnoxious person, to make him execrable, and to lay on him, according to their superstition, all the wrath of their gods, and so give him up to destruction. Such the apostle alludes unto, Rom. 9: 3; 1 Cor. 4: 9, 13. So the Massilians were wont to expiate their city by taking a person devoted, imprecating on his head all the evil that the city was obnoxious unto, casting him into the sea with these words, [Greek: Peripsema hemoon genou] - "Be thou our expiatory sacrifice." To which purpose were the solemn words that many used in their expiatory sacrifices, as Herodotus [lib ii. 39] testifies of the Egyptians, bringing their offerings. Says he, [Greek: Katapeontai de, tade legontes, teisi kefaleisin, ei ti melloi e sfisi toisi thuousi, e Aiguptooi tei sunapasei kakon genesthai es kefalen tauten trapesthai] - "They laid these imprecations on their heads, that if any evil were happening towards the sacrificer, or all Egypt, let it be all turned and laid on this devoted head." I have recounted these instances to evince the common intention, sense, and understanding of that expression, of one dying for another, and to manifest by examples what is the sense of mankind about any one's being devoted and substituted in the room of others, to deliver them from death and danger; the consideration whereof, added to the constant use of the words mentioned in the Scripture, is sufficient to found and confirm this conclusion: - "That whereas it is frequently affirmed in the Scripture, that 'Christ died for us, and for our sins,' etc., to deny that he died and suffered in our stead, undergoing the death whereunto we were obnoxcious, and the punishment due to our sins, is, - if we respect in what we say or believe the constant use of those words in the Scripture, the nature of the thing itself concerning which they are used, the uncontrolled use of that expression in all sorts of writers in expressing the same thing, with the instances and examples of its meaning and intention among the nations of the world, - to deny that he died for us at all." Neither will his dying for our good or advantage only, in what way or sense soever, answer or make good or true the assertion of his dying for us and our sins. And this is evident in the death of the apostles and martyrs. They all died for our good; our advantage and benefit was one end of their sufferings, in the will and appointment of God: and yet it cannot be said that they died for us, or our sins. And if Christ died only for our good, though in a more effectual manner than they did, yet this alters not the kind of his dying for us; nor can he thence be said, properly, according to the only due sense of that expression, so to do. I shall, in this brief and hasty discourse, add only one consideration more about the death of Christ, to confirm the truth pleaded for; it and that is, that he is said, in dying for sinners, "to bear their sins.". Isa. 53: 11, "He shall bear their iniquities;" verse 12, "He bare the sin of many;" explained, verse 5, "He was wounded for our transgressions, he was bruised for our iniquities; the chastisement of our peace was upon him." 1 Pet. 2: 24, "Who his own self bare our sins in his own body on the tree," etc. Isa. 53: 11, [Hebrew: awonotam hu yisbol]. The same word, [Hebrew: saval], is used verse 4, [Hebrew: umach'oveinu svalam], - "And our griefs, he has borne them." The word signifies, properly, to bear a weight or a burden, as a man bears it on his shoulders, - "bajulo, porto." And it is never used with respect unto sin, but openly and plainly it signifies the undergoing of the punishment due unto it. So it occurs directly to our purpose, Lam. 5: 7 [Hebrew: avoteinu chat'u einam anachnu awonoteihem savalnu] - "Our fathes have sinned, and are not; and we have borne their iniquities;" the punishment due to their sins. And why a new sense should be forged for these words when they are spoken concerning Christ, who can give a just reason? Again; [Hebrew: nasa] is used to the same purpose, [Hebrew: wehu chet-rabim nasa] Isa. 53: 12, "And he bare the sin of many. [Hebrew: nasa] is often used with respect unto sin; sometimes with reference unto God's acting about it, and sometimes with reference unto men's concerns in it. In the first way, or when it denotes an act of God, it signifies to lift up, to take away or pardon sin; and leaves the word [Hebrew: awon], wherewith it is joined under its first signification, of iniquity, or the guilt of sin, with respect unto punishment ensuing as its consequent; for God pardoning the guilt of sin, the removal of the punishment does necessarily ensue, guilt containing an obligation unto punishment. In the latter way, as it respects men or sinners, it constantly denotes the bearing of the punishment of sin, and gives that sense unto [Hebrew: awon], with respect unto the guilt of sin as its cause. And hence arises the ambiguity of these words of Cain, Gen. 4: 13, [Hebrew: gadol awoni minso]. If [Hebrew: nasa] denotes an act of God, if the words be spoken with reference, in the first p]ace, to any acting of his towards Cain, [Hebrew: awon] retains the sense of iniquity, and the words are rightly rendered, "My sin is greater than to be forgiven." If it respect Cain himself firstly, [Hebrew: awon] assumes the signification of punishment, and the words are to be rendered, "My punishment is greater than I can bear," or "is to be borne by me." This, I say, is the constant sense of this expression, nor can any instance to the contrary be produced. Some may be mentioned in the confirmation of it. Numb. 19: 33, "Your children shall wander in the wilderness forty years," [Hebrew: wenasu et-znuteichem] "and shall bear your whoredoms." Verse 34, [Hebrew: tisu et-awonoteichem arba'im shanah] - "Ye shall bear your iniquities forty years;" that is, the punishment due to your whoredoms and iniquities, according to God's providential dealings with them at that time. Lev. 19: 8, "He that eateth it [Hebrew: awono yisa] shall bear his iniquity. How? [Hebrew: nichretah hanefesh hahi] - "That soul shall be cut off." To be cut off for sin by the punishment of it, and for its guilt, is to bear iniquity. So chap. 20: 16-18, for a man to bear his iniquity, and to be killed, slain, or put to death for it, are the same. Ezek. 18: 20, [Hebrew: hanefesh hachotet hi tamoet ben lo-yisa ba'awon ha'av] - "The soul that sinneth, it shall die. The son shall not bear the sin of the father." To bear sin, and to die for sin, are the same. More instances might be added, all uniformly speaking the same sense of the words. And as this sense is sufficiently, indeed invincibly, established by the invariable use of that expression in the Scripture so the manner whereby it is affirmed that the Lord Christ bare our iniquities, sets it absolutely free from all danger by opposition. For he bare our iniquities when [Hebrew: wa'adonai hifnia bo et awon kulanu] - "the LORD made to meet on him, or laid on him; the iniquity of us all," Isa. 53: 6; which words the LXX render, [Greek: Kai Kurios paredooken auton tais hamartiais hemoon] - "The LORD gave him up, or delivered him unto our sins;" that is, to be punished for them, for other sense the words can have none. "He made him in sin for us," 2 Cor. 5: 21. So "he bare our sins," Isa. 53: 12. How? "In his own body on the tree," 1 Pet. 2: 24; that when he was, and in his being stricken, smitten, afflicted, wounded bruised, slain, so was the chastisement of our peace upon him. Wherefore, to deny that the Lord Christ, in his death and suffering for us, underwent the punishment due to our sins, what we had deserved, that we might be delivered, as it everts the great foundation of the gospel, so, by an open perverting of the plain words of the scripture, because not suited in their sense and importance to the sin imaginations of men, it gives no small countenance to infidelity and atheism.